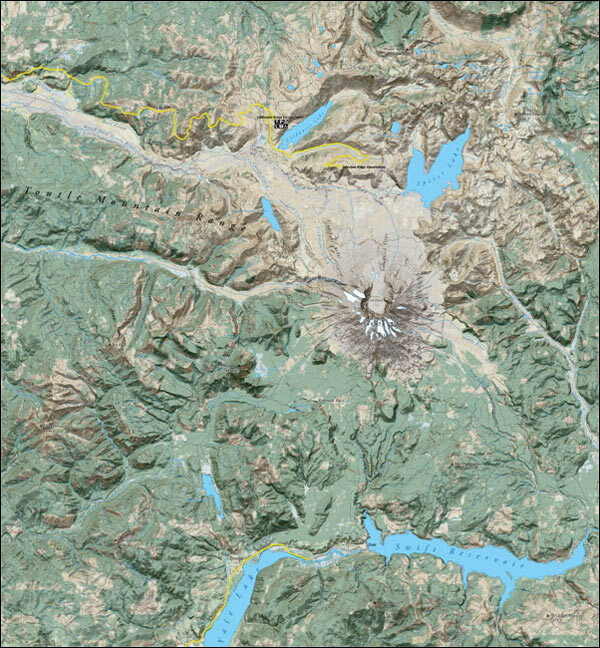 This is a detail of a shaded relief map of the immediate surroundings of Mount St Helens, USA, produced for an aborted private project. It is now serving as a testbed for trying out various shaded relief techniques. Source data for this project include NED (National Elevation Dataset) 10′ DEM as well as NLCD (National Land Cover Database) data that has been manually repainted. 2 renderings were made in Visual Nature Studio (one with light coming from top left, one with light coming from bottom right), which were blended with the NLCD data in Adobe Photoshop. The whole thing was then brought into Adobe Illustrator where, using MAPublisher, vector data such as roads, water bodies and contour lines were added. 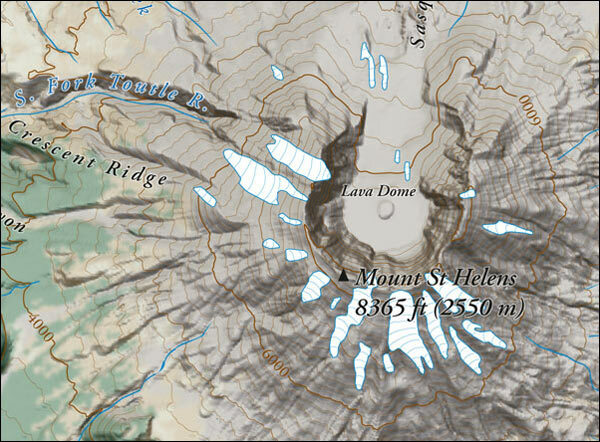 Text placement was then done in MAPublisher as well, using USGS DRG’s as reference.